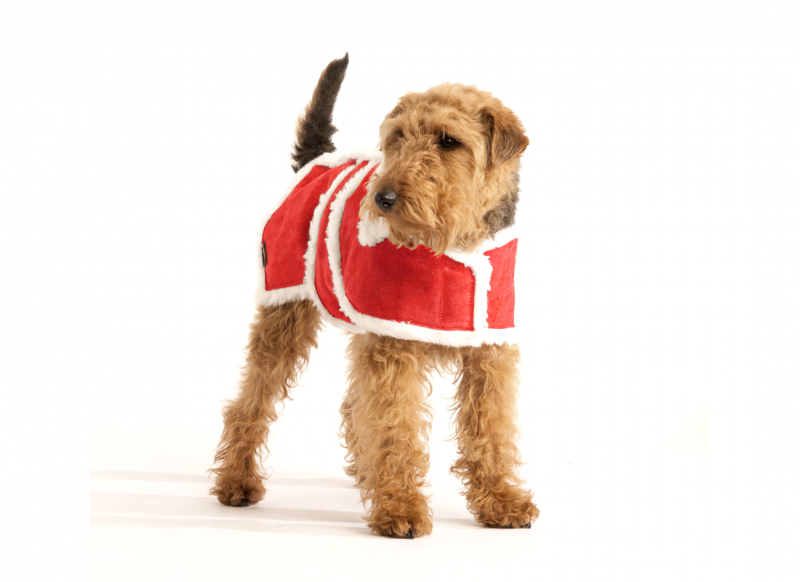 Christmas Special Edition Woollen Dog Coat - a practical and luxury dog coat for this special occassion. Outer coat made with wool mix fabric and with fleece lining. There are six sizes available to fit most breeds, measuring from the neck to the root of the tail. Click here for measuring guide.